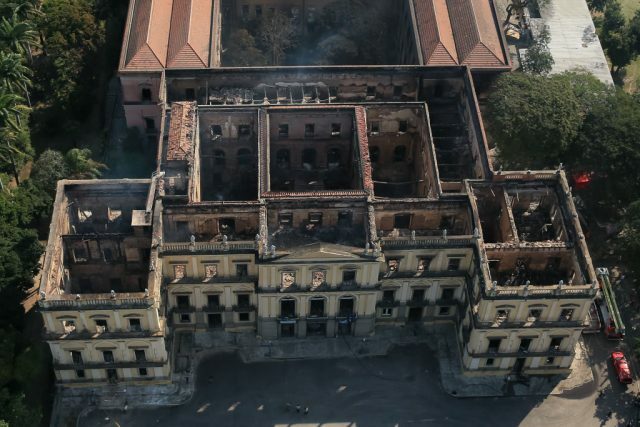 Brazilian researchers have described the fire that consumed the National Museum of Brazil on September 2, 2018 as a “tragédia anunciada” an anticipated tragedy. This week, Not Even Past caught up with historians who have visited and conducted research there. They shared memories of their experiences and explained what this immeasurable loss means to scholars of Brazil. If you would like to add your own thoughts and memories, please go to our Facebook page and leave them there. King João VI of Portugal established the Royal Museum, Brazil’s first scientific research institution, on June 6, 1818, while living in exile in Rio de Janeiro. Located on the grounds of one of Rio’s most iconic parks, the Quinta da Boa Vista, the Royal Museum sheltered botanical and animal specimens from Brazil, particularly tropical birds. 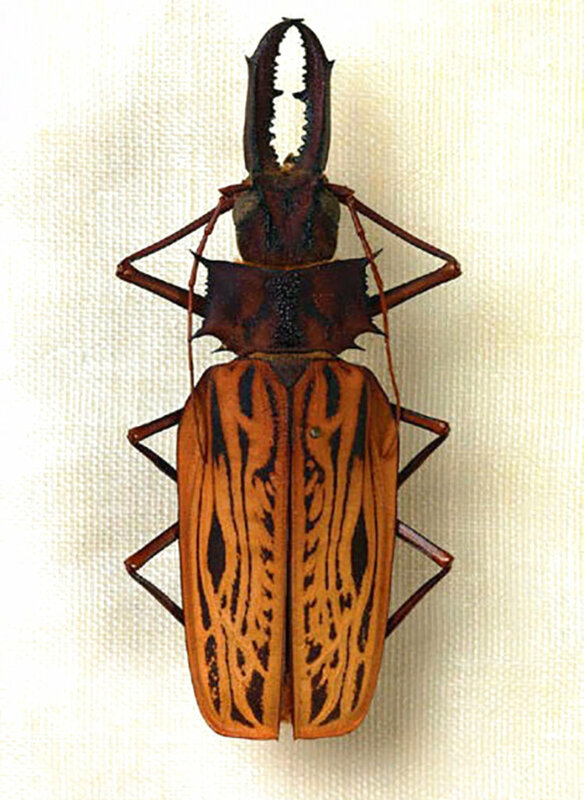 European naturalists, including Johann Baptist von Spix, Carl Friedrich Philip von Martius, and Augustin Saint-Hilaire, flocked to the Royal Museum during the 1820s to conduct research and contribute additional specimens to the museum’s growing collection. Brazilian Emperor Pedro II renamed the facility the National Museum and promoted investment in the areas of anthropology, paleontology, and archaeology. By the turn of the twentieth century, Brazil’s National Museum had emerged as one of the largest anthropological and natural history museums in the Americas. Its collection grew to more than 20 million items. These included Luiza, a 12,000-year old skeleton of a Paleo-Indian woman, the oldest in the Americas, and the Bendegó meteorite, discovered in 1784 by a farm boy searching for a lost cow in the arid hinterlands of Bahia. Despite the National Museum’s importance, celebrations marking the bicentenary of its founding were subdued. The National Museum of Brazil before the fire. By 2018, the National Museum had been falling into disrepair for decades. In May 2018, Brazilian reporter Marco Aurélio Canônico observed termite-infested walls, leaky ceilings, and loose electrical wires. Its precarious condition was exacerbated by the Temer government’s austerity measures, which include a twenty-year cap on federal spending. Brazil’s national universities, archives, and museums were among the casualties. 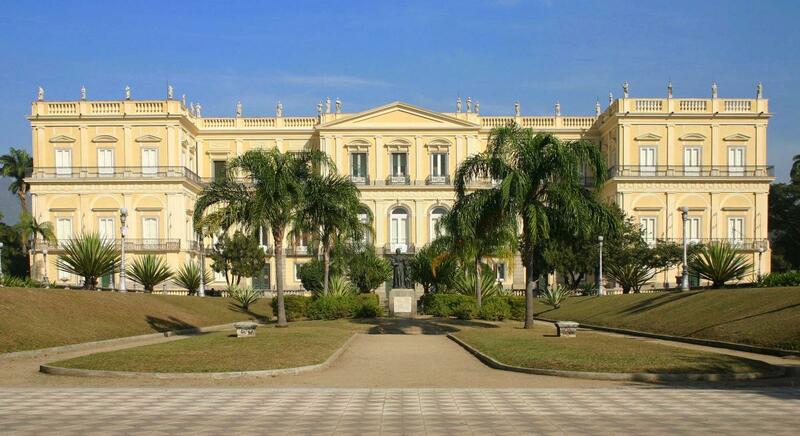 The Federal University of Rio de Janeiro (UFRJ), which has managed the National Museum since 1946, experienced a nearly 30 percent reduction in its operating budget over the past five years. In 2013, the National Museum’s budget was $R 531,000 (approximately $132,000 USD). In 2018, that figure dropped to $R 54,000 ($13,500), an amount less than a single graduate student fellowship in the UT Austin History Department. Budget cuts forced the museum to close a third of its collections to the public. 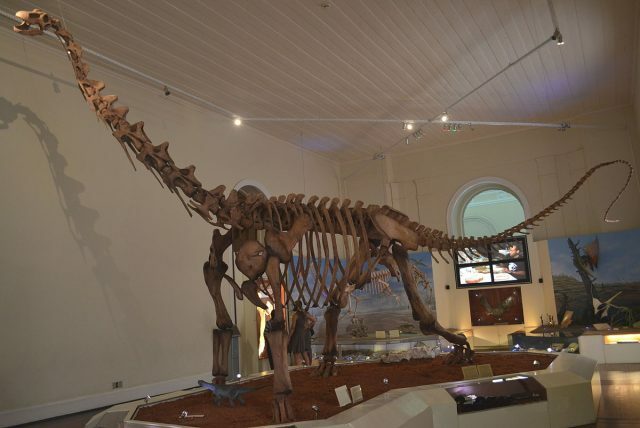 This past April, the museum launched an online funding campaign to raise $R 50,000 to reopen a popular wing featuring a skeleton of the Maxakalisaurus, the largest dinosaur discovered in Brazil. As the National Museum’s spending declined, so did its visitors. Last year, more Brazilians visited the Louvre than the National Museum. The writing was on the wall. In the aftermath of a fire that destroyed São Paulo’s Museum of the Portuguese Language in 2015, the National Museum’s leadership pressed for funding to install a sprinkler system — but to no avail. 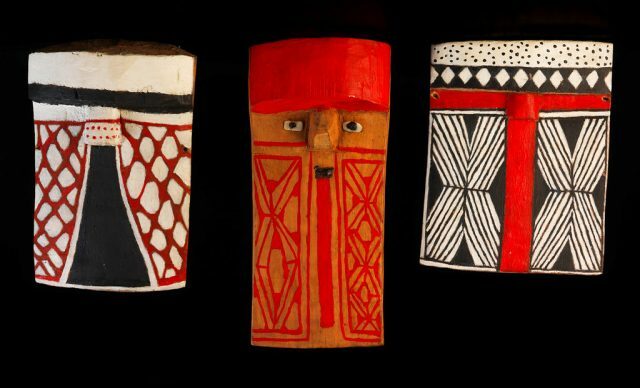 As a result, 90% of the National Museum’s collections perished in the flames, including Amerindian artifacts and audio recordings of indigenous languages, some of which are no longer spoken. After the catastrophic fire at Brazilian National Museum, I sent an email to a colleague there to express my condolences and solidarity. I had first met him when I was a graduate student in the early 1990s conducting my field research on the history of Brazilian government policy towards indigenous peoples. Like the other social anthropologists who teach at the Museum’s graduate program, his work is brilliant and had a tremendous influence on my own scholarship. He also showed great kindness towards a very junior scholar, pointing me to relevant readings, collections, and specialists. There is much to mourn about the priceless objects that were destroyed in the blaze, the architectural loss of an imperial palace, the devastating blow to Brazil’s historical patrimony. There is much to condemn about the flouting of fire codes, the deplorable state of funding for public institutions and services in Brazil, and the shocking political corruption that lies at the heart of the nation’s problems. Yet for me, as an academic, rather than a museum-goer, the institution’s researchers have always been the main event. 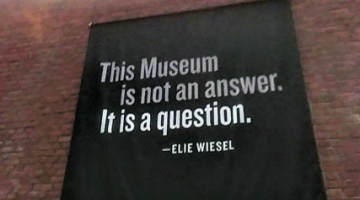 Over the years, I visited the Museum on a number of occasions. I conducted research on the Xavante Indians in the anthropology library, which was totally gutted by the fire. I served on a dissertation committee, attended doctoral defenses, and gave a talk on multidisciplinary approaches to indigenous studies. I confess, I never much liked the trip: the wait at the bus stop always seemed long and the ride took over an hour. But once on the grounds of the stately old imperial palace, whose dilapidated pastel-colored walls only made the whole place feel even more historical, there was a sensation of being transported to another world. A place dedicated to the life of the mind, to the investigation of Brazil’s multicultural heritage and the empowerment of its underprivileged populations. This was a place that the professors, graduate students, and staff gave life to, just as their predecessors had filled its halls and cabinets with fossils, gems, and antiquities. 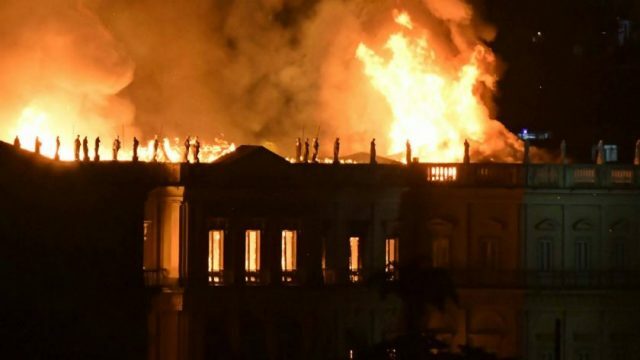 Like all Brazilians who learned about the terrible loss caused by the fire at National Museum last evening, I am absolutely devastated. But as an alumna from this institution, this loss feels also very personal. It was at the graduate program in social anthropology where I became trained by leading academics in the field. It was also there that I made life-long friends, to whom I reached out last night. Being a student at the National Museum was a unique experience. I don’t know of many institutions in which, to reach the classroom, one has to climb up a steep hill with magnificent gardens and enter the majestic building that once was the emperor’s residence and housed important ethnological collections. I have so many fond memories. There was the time when I was taking the entrance exam for the graduate program and left the room to find the restroom. I got lost inside the museum and found myself all alone in a huge room full of mummies. It took me a good 20 minutes and many dinosaurs later to find my way back to the exam room. In the internal courtyard, a beautiful red macaw greeted us when classes were over. There were the intellectually rigorous courses that I took with brilliant scholars, and the amazing library where I did so much research for my graduate work. My thesis from National Museum looked at the power of collective memory. 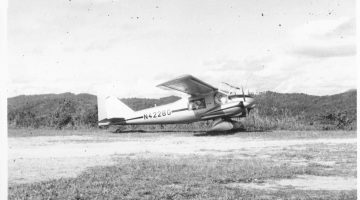 Using concepts from the French sociologist Maurice Halbwachs, I showed how a community that was largely exterminated by the Nazis became reconstituted in Brazil through the memories and the stories told by their surviving members. I benefited in my training from the finest minds in the Brazilian academia, including João Pacheco de Oliveira, Lygia Sigaud, and Yonne Leite. Now the National Museum is in ashes and I am part of the surviving community telling my story and the stories of others. Hopefully, through our joined forces the National Museum will make history again. 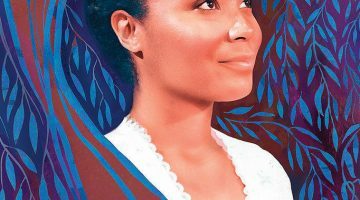 “I have to dedicate my professional life to the study of history, museology, and the study of African, Afro-Brazilian, and indigenous cultures. In the wake of what happened at the Museu Nacional, many possibilities for building knowledge about ourselves and the historical experiences of peoples who were and continue to be marginalized vanished overnight. Thousands of items and decades of work turned to ashes. I only visited once, in 2010, the year I started working at the Afro-Brazilian Museum, and I remember perfectly the impact that these two museums had on me. I remember the richness of these collections, but also how neglected they were, too. Rio de Janeiro, with its emblematic museums, such as the Museum of Fine Arts and the Museum of the Republic, is the same city in which valorizes culture only when it is profitable or only when there are possibilities for gentrification. One notices the splendor of the newly constructed Museum of Tomorrow, built to attract visitors during the World Cup, and the decadence of the historic Valongo Pier, just blocks away. University museums, especially those linked to scientific production, education, and cultural heritage are ignored. 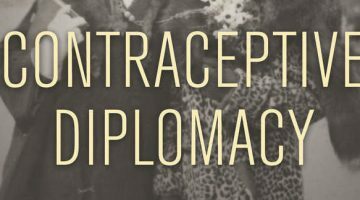 These are examples of choices made by civil society and by politicians, to whom investment in science, education, technology, and innovation is an onerous expense. We see and experience the consequences of the lack of the public investment in health, education, and public safety every day. Culture, which is almost always neglected by our politicians, and which receives little to no attention from the elites, is only remembered when a tragedy occurs. There are a number of cases like this over the past few years. And this will probably not be the last. 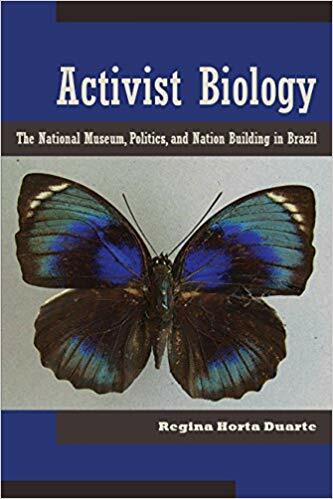 Mello Leitão was one of the scientists whom I researched for my book, Activist Biology: The National Museum, Politics, and Nation Building in Brazil, published in 2016 by University of Arizona Press. I conducted my research at SEMEAR, a rich historical archive based in the National Museum. The tragedy that struck the National Museum is so great that we cannot even repeat what Agassiz, Goeldi, and Mello Leitão had written almost a century ago. Collections, books, and documents were simply devoured by fire. The efforts undertaken by countless men and women for the advancement of science now seem to be reduced to ashes. It is an irreparable loss for Brazil, for scientists all over the world, and for all those who experienced the joy of visiting the National Museum. Edward Shore received his PhD in History at UT Austin in 2018. His dissertation is entitled “Avengers of Zumbi: The Nature of Fugitive Slave Communities and Their Descendants in Brazil.” He is currently Lecturer/CLIR Postdoctoral Fellow for Data Curation in Latin American and Latina/o Studies at UT Austin.